Do you need help with virus & spyware removal Brisbane? Less Stress Computer Services are experts in virus and spyware removal. Trojan horses, viruses and spyware maliciously attack computer systems when they are not adequately protected. Many viruses and spyware agents improve their capacity to spread and cause damage within a short time in different ways such as infected document files, emails and so on. If your operating system is left vulnerable, the virus and spyware can either damage your system or obtain your personal information. If your laptop or desktop system is running slowly, it could be as a result of trojan horses, viruses or spyware. Contact Less Stress Computer Services to help with virus and spyware removal. We will diagnose your issue and confirm if anything is suspicious. Our antivirus solutions will remove the files before they damage your system further. We will also work to restore anything affected. Some viruses and spyware are very sneaky and difficult to detect until they damage your operating system – don’t leave it to chance. We use the right tools to remove the virus without a trace. If your operating system or Windows files are completely damaged, we will export the important data so it’s saved, reformat your system and reinstall the Windows system. Trojan horses or viruses and spyware often hide within inconspicuous compressed files to avoid the security installed on your PC system. When computer security is outdated and vulnerable it’s easy for malware to attack and cause substantial data breaches – this can cause hard drive damage resulting in major downtime. 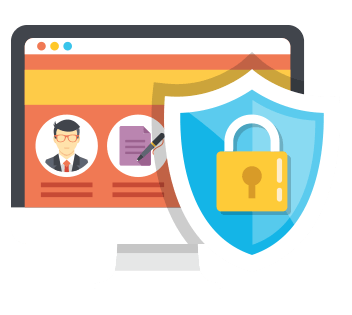 Less Stress virus and spyware removal services offer full protection of your laptop and desktop system against trojan horses or virus and spyware and any other kind of malicious attacking agents. We prevent these malicious agents from penetrating your computer system and this can save you a lot of expense and stress. At Less Stress, our virus and spyware solutions defend your computer against malicious agents that may disrupt your daily business. Our team of professional technicians can thoroughly scan your laptop and desktop systems to detect and remove all security threats, saving you from losing valuable data. 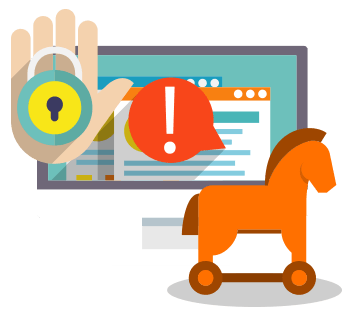 No matter the potential risks being received, we offer effective solutions that successfully scan your email for hazardous trojan horses, viruses and spyware. We repair virus and spyware induced damage by cleaning all suspicious files and delivering antivirus solutions with robust scanning and automatic updates. Less Stress offers virus and spyware removal services for both individuals and businesses of all sizes. Our enhanced solutions give protection by eliminating threats before they infiltrate your operating system. For virus and spyware removal contact Less Stress Computer Services today.